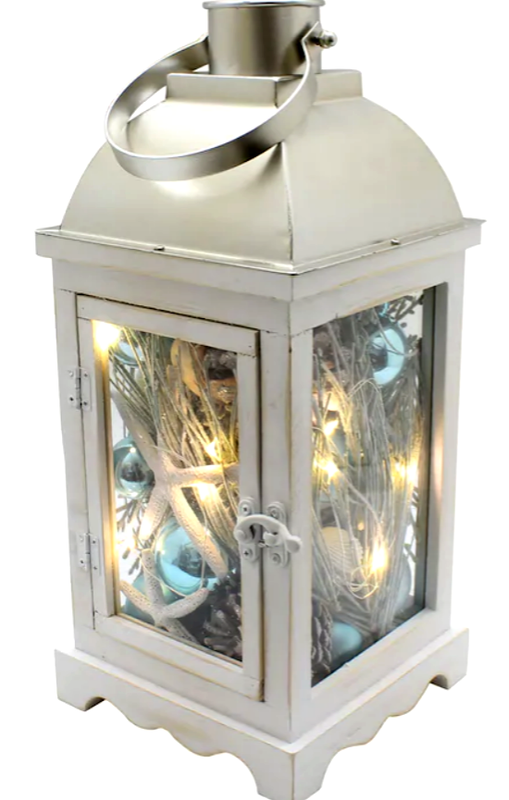 White beach Christmas lantern filled with faux greenery, starfish, shells, ornaments, and other items. This battery operated beach Christmas lantern is perfect for spreading a beachy little Christmas anywhere in the home. Coastal Christmas Collections from Favorite Online Stores.